The Ramada Overland Park Kansas is located at the intersection of Shawnee Mission Parkway and US 69 Highway (Metcalf Blvd). The 151 room Ramada Overland Park is just 2 miles east of I-35. 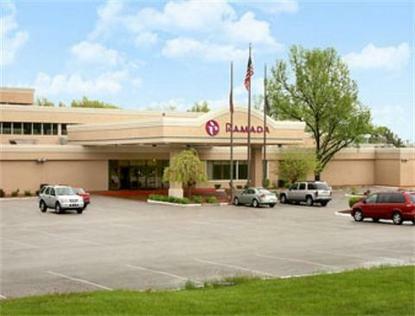 The Ramada Overland Park is conveniently located just minutes from the Famed Country Club Plaza, Overland Park Convention Center, Kansas Speedway, Nebraska Furniture Mart, Crown Center and KU Medical Center. Consider the Ramada Overland Park your lodging choice when visiting Johnson or Wyandotte County Kansas attractions. As a guest of the Ramada Overland Park you will enjoy our complimentary continental breakfast, Boulevard Pub, indoor heated pool and hot tub, free local calls, business style rooms with 2 phones, complimentary wired and wireless high speed internet, guest laundry, express check-in and out, exercise facility and 24 hour business center. For great meetings, banquets and reunions the Ramada Overland Park will meet your specific needs. For information please contact our sales and catering office.